MANILA, Philippines - Veteran TV host German Moreno died of cardiac arrest at around 3:20 am on Friday, January 8, his nephew John Nite confirmed. 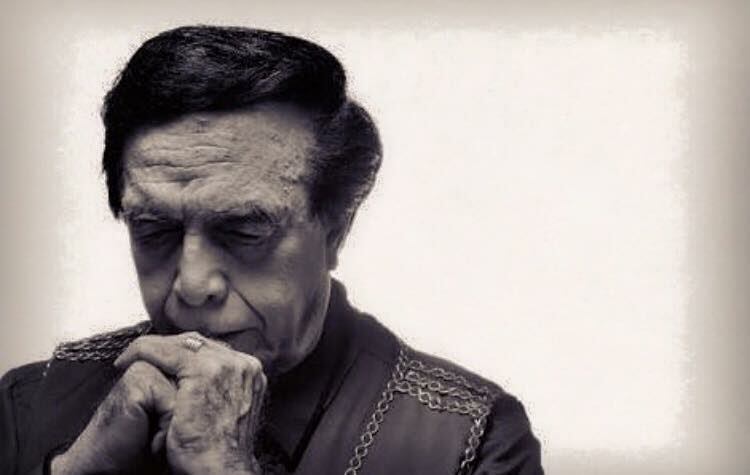 More popularly known as “Kuya Germs”, the popular 82-year-old TV personality hosted the then long-running youth-oriented show That's Entertainment and the late-night variety show Walang Tulugan with the Master Showman. Prior to becoming an actor, Moreno worked as a janitor and a curtain raiser at the Clover Theater. Since he started his career in showbiz in the 1960’s, Moreno worked as a host, actor, comedian as well as talent manager. In the 1980’s, Moreno was given his biggest break when he hosted the GMA Supershow. Celebrities express their grief over Master Showman’s passing. One of Moreno’s showbiz protégés Manila Vice Mayor Isko Moreno issued a statement over Moreno’s unfortunate passing. TV host-actor Billy Crawford, a former regular at the now-defunct show That’s Entertainment, shared a message for Moreno, a man he considers a father figure, on his Instagram page. Crawford and his girlfriend Colleen Garcia are currently in Africa for a holiday break. "I’m sad that I'm not there next to you to say my goodbyes. You will be missed tremendously. We fought, we laughed, we cried, we sang, we danced and we shared the same stage for so many years! And I want to just thank you for teaching me and guiding me through everything. It hurts to see you leave us, but God is right there to make you rest and enjoy eternity with Him. I also pray for your family to be strong and to carry a smile like you always did. You will always be our MASTER SHOWMAN! Most importantly you will always be my father and I will always be your makulit na adopted son! RIP, Pa. I love you,” Crawford wrote.